It is best to use immediately after bathing while the body is still damp. But if body is dry, then simply wet the stone and apply directly in the area where odor occurs. Then rinse thoroughly. This crystal push-up stick controls the odour causing bacteria, allowing perspiration without body odour. No aluminum chlorohydrate. Does not block pores. Paraben free. Hypoallergenic. 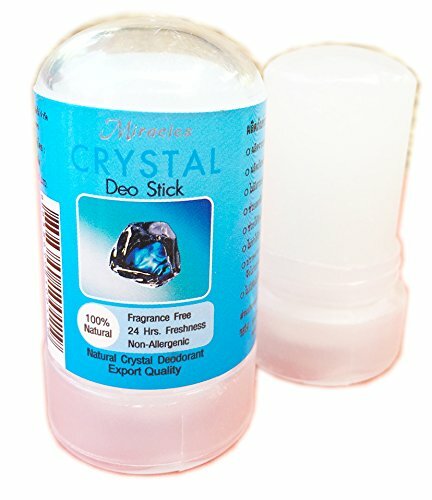 Compare prices on Crystal Deodorant Push Up Stick at ShopPlanetUp.com – use promo codes and coupons for best offers and deals. We work hard to get you amazing deals and collect all available offers online and represent it in one place for the customers. Now our visitors can leverage benefits of big brands and heavy discounts available for that day and for famous brands.